With Avengers: Age of Ultron just over the horizon and the hype building to a fever pitch with the marketing campaign in overdrive it is easy to forget that Marvel has another movie coming out this summer. Maybe this was done on purpose given the road to completion was a rocky one for Ant-Man, but if the new trailer is any indication the worlds smallest hero is ready to put up a fight for his space in the Marvel Cinematic Universe. In a strange bit of news that came out over the weekend with Avengers having it's main junket that included interviews with Marvel mastermind Kevin Feige; Ant-Man will not be the first film in Phase Three as suspected, but will apparently serve more as a culmination to Phase Two than Ultron. This is rather interesting given, up to this point, Ant-Man has felt like little more than an after-thought with questions surrounding if it will even be significant to the larger going-ons of the MCU, but Feige has confirmed that it very much does. While these connections were never going to determine the actual quality of the final product they would certainly assist in separating it from being significant or "just another comic book movie" in a summer saturated with these types of films. On the plus side, I look forward to seeing Paul Rudd in a leading action role and the balance of humor, action and most importantly: relevance seem to be in check in this second, full-length trailer making me, for the first time, pretty excited to see what's in store for us. 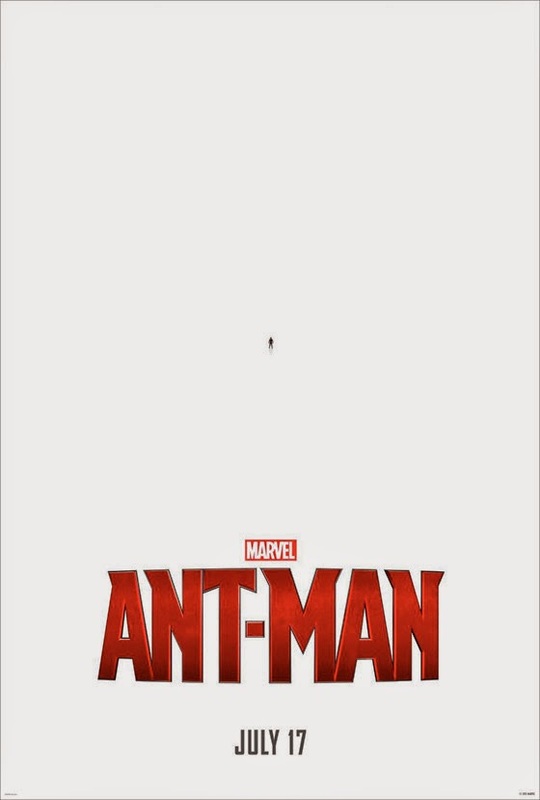 Ant-Man stars Rudd in the titular role along with Evangeline Lilly, Corey Stoll, Bobby Cannavale, Michael Peña, Judy Greer, Tip “TI” Harris, David Dastmalchian, Wood Harris, Martin Donovan, Jordi Mollà, Michael Douglas and opens on July 17, 2015. Synopsis: The next evolution of the Marvel Cinematic Universe brings a founding member of The Avengers to the big screen for the first time with Marvel Studios’ “Ant-Man.” Armed with the astonishing ability to shrink in scale but increase in strength, master thief Scott Lang must embrace his inner-hero and help his mentor, Dr. Hank Pym, protect the secret behind his spectacular Ant-Man suit from a new generation of towering threats. Against seemingly insurmountable obstacles, Pym and Lang must plan and pull off a heist that will save the world. Marvel’s “Ant-Man” stars Paul Rudd as Scott Lang aka Ant-Man, Evangeline Lilly as Hope Van Dyne, Corey Stoll as Darren Cross aka Yellowjacket, Bobby Cannavale as Paxton, Michael Peña as Luis, Judy Greer as Maggie, Tip “Ti” Harris as Dave, David Dastmalchian as Kurt, Wood Harris as Gale, Jordi Mollà as Castillo and Michael Douglas as Hank Pym. Directed by Peyton Reed and produced by Kevin Feige, Marvel’s “Ant-Man” delivers a high-stakes, tension-filled adventure on July 17, 2015.